In 1761, a tiny odd-looking girl named Marie is born in a village in Switzerland. After the death of her parents, she is apprenticed to an eccentric wax sculptor and whisked off to Paris. Together, they create an exhibition hall from wax heads, and the spectacle becomes a sensation. 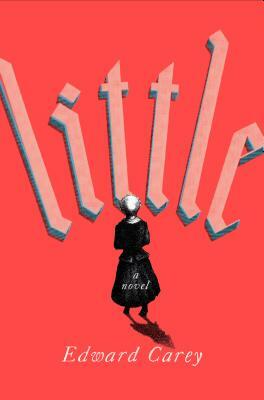 From the seamy side streets of 18th century Paris, to the luxury of Versailles, Edward Carey's new novel, Little, is the sweeping tale of the orphan who transforms herself into the legendary Madame Tussaud. Quirky, macabre, and thoroughly delightful, accompanied by the author's drawings, this is a luxurious read for a long winter's night. Edward Carey is a novelist, visual artist, and playwright. His acclaimed YA series, the Iremonger Trilogy, was a fan favorite, with citations for Best Books of the Year by The New York Times, NPR, and Kirkus Reviews. Carey is also the author of two adult novels, Observatory Mansions and Alva & Irva. Born in England, he now teaches at the University of Texas in Austin, where he lives with his wife, the author Elizabeth McCracken, and their family.